Quick update today, we still have a lot of things to prototype before we finalize a design. 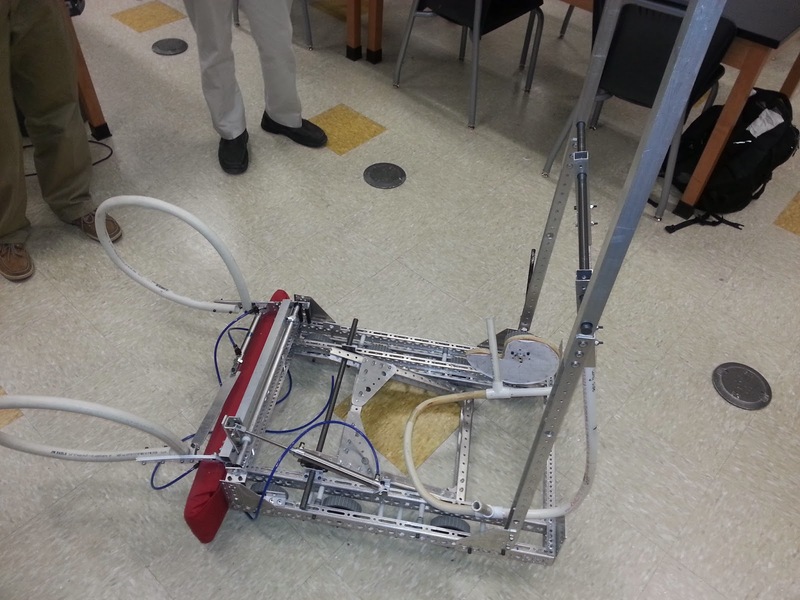 We're hoping to have a chassis built by next week. We have a Bootcamp Build day for some of the young teams in the area on Sunday. While working on the CAD files for the AM14U, we mocked up a version that is square 27.5 x 27.5. This was mentioned on Chiefdelphi, but we weren't sure how easy it would be for teams to make. 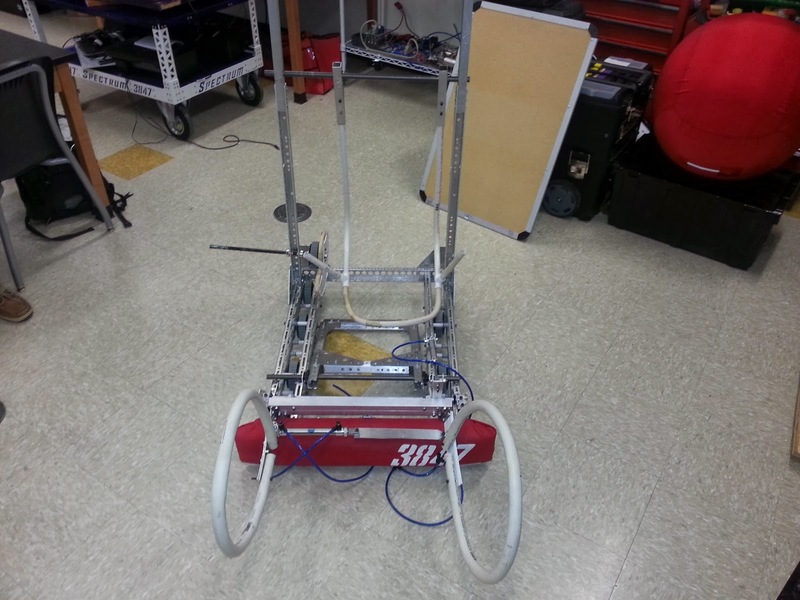 We think it's pretty simple--it's really just making a half-wide/half-narrow robot. Here is a quick PDF that shows the cut frame rails. The front and back pieces are both cut to 20.25". This square version has a non-symmetrical wheel base but it should still work very well. It also allows the 25" ball to easily fit inside of it. Add a plywood base to the inside and you'll have a very nice chassis for Aerial Assist.